dealnews readers are obviously avid deal hounds, and many of you have likely already found some great bargains on school items for your kids through our very own back to school deals. There are certain items however, like inexpensive supplies, that you may be inclined to buy in store rather than online. That's understandable, but that doesn't mean you can't still be a budget savvy shopper away from your computer. 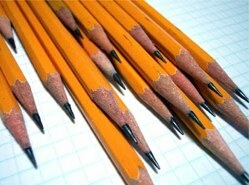 Around this time of year we list many in-store specials from the likes of Staples, OfficeMax, and Office Depot. For example, you can "buy two, get one free" on school supplies at OfficeMax, and find items for as low as 1 cent at Office Depot. While we're geared toward national deals, sometimes you can find special local offers at these retailers and more — if you know where to look. According to the NCH 2012 Coupon Fact Report, standard newspaper insert coupons (for grocery and drug store products, including school supplies) averaged a face value of $1.54. While that might seem modest, the more you use these coupons on common purchases, the more you'll save. The trick is to attack your back to school shopping list in a strategic way. Here are some steps to keep in mind while you stock up for your student. While the term "couponing" may subsequently make you think of the word "extreme," checking local circulars, the mail, and more can yield numerous opportunities to save at your local stores. You may be familiar with some of these places to find coupons, but you'll find many more by looking in all of these places regularly. Paper Receipts: Coupons on or with a receipt for another day's use are called "catalinas" or "bounce backs." Sometimes a completed survey on the back of the receipt earns 15% to 20% off a follow up purchase, too. Ticket Stubs: Flip these stubs over to find freebies from local fast food restaurants or savings from sporting goods retailers. Online Bank Statements: Many banks offer clickable coupons via cash back rewards from an assortment of merchants. These featured cash back vendors change every month and will appear on most online bank statements based on how you shop. Free Apps: Use the free dealnews mobile app, and others, to download savings and deals to your smartphone. Some deal and coupon apps are GPS-enabled and offer relevant deals wherever you are shopping in-store or online. Text Coupons: Opt-in for text-based savings sent directly to your smartphone. Social Media Savings: Check your favorite retailers' Facebook, Twitter, and Pinterest pages for special fan and follower-only savings. Mall Websites: Check for additional daily deals and printable coupons available at your mall only on the day of your shopping trip. The Entertainment Book Online: Register for the Entertainment Book you bought from a fundraiser online, and you can print additional coupons for favorite stores and restaurants. Email: Share your email address with retailers and receive coupons and special savings in your inbox. Snail Mail: Give merchants your home address and you'll get additional savings cards, coupons, catalogs, and flyers with discounts and coupons in your mailbox. In-Store Blinkies, Peelies, and Kiosks: Look for blinking shelf coupon dispensers (blinkies), coupons on product packaging (peelies), and kiosks displaying or dispatching more in-store coupons. Magazines and Newspapers: Aside from free-standing newspaper coupon inserts, most magazines are riddled with coupons and savings for health and beauty aids, food, and fashion. They often appear in the form of QR codes that you scan with your smartphone. The trick here is to remain organized with all the physical coupons, rewards, bounce backs, catalinas, and cards you have collected, so you can easily access them when the time comes to plan your purchases. Does shipping to your local store eliminate shipping charges? Is there a free shipping coupon code? Can you save on sales tax by ordering online? Or taking advantage of your state's tax-free back to school shopping holiday? Do you have a physical coupon in your collection for an item that's a better deal than anything online, or vice versa? Can you combine a coupon (online or in-store) with a great sale such as a buy-one-get-one-free (BOGO) or deeply-discounted clearance sale? Finally, see if you can further combine any of the above coupons, savings, and best deals with rewards you may have already earned or can earn additionally. Aside from credit card rewards, many stores offer cash back for use in-store on a future purchase, i.e. CVS Reward Bucks, Best Buy RewardZone, Walgreens Register Rewards, and Staples Rewards. Some stores still give physical "punch" or "stamp" rewards cards for each dollar amount purchase, too. To maximize your savings in this department, be sure to use rewards to buy something that also offers rewards — and only if you have an additional coupon or if there's already a discount on that item. Also, for credit card rewards, only buy in the largest cash back categories and only what you budgeted for, assuming you never carry a balance to avoid interest charges. Avoid rush-hour shopping at grocery stores and weekends at the mall. Have coupons organized and ready upon checkout. Be patient, flexible, and polite while searching for coupon items and dealing with store employees, online or in-store. Shop limited quantity sales the day after the weekly sales change for the best selection. Set a budget and a goal to spend as little as possible for your back to school shopping. Choose a few favorite stores that allow competitor coupons, stacking, price matching, and have their own rewards programs. 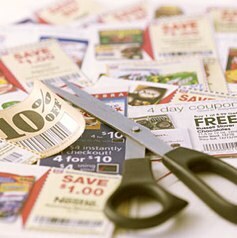 Once you've got your mind and eyes open for coupons, the ways to combine for optimal savings become second nature. Ready to attack the remaining items on your shopping list? Start by checking out the deals on our back to school sales page.